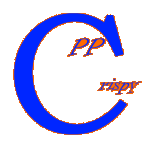 CPPCrispy is an internet alias that I use. In the near future I plan to start posting content to this website that is technology related. Such as tip and tricks, analysis, and opinions. www.cppcrispy.com | All rights reserved.